Rajiv Gandhi, son of India’s long-time Prime Minister Indira Gandhi, had no intention of entering politics like the rest of his family, but as heir to the Nehru-Gandhi dynasty, such a step was almost pre-ordained. 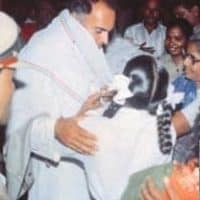 Rajiv Gandhi became India’s seventh Prime Minister on October 31, 1984 just hours after his mother was assassinated by two of her own bodyguards. As a member of India’s post-independence generation, Gandhi was viewed hopefully as a modern technocrat who would help transform the populous nation. 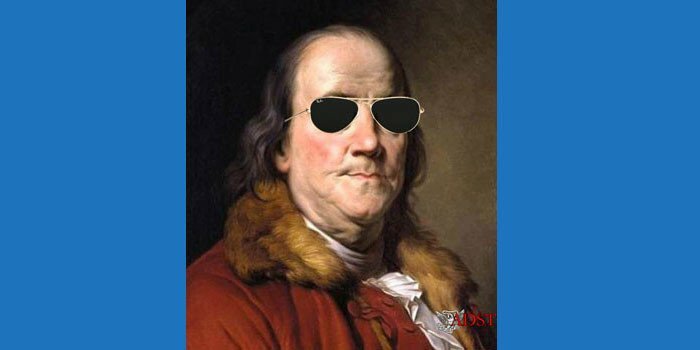 However, it was old-school Realpolitik that ultimately proved to be his undoing. India had long supported the rebel Liberation Tigers of Tamil Eelam (LTTE), which had been fighting for independence from Sri Lanka since its founding in 1976. When the conflict intensified, Rajiv Gandhi sent in the Indian Peacekeeping Force (IPKF) to Sri Lanka in 1987 in the hopes of disarming the LTTE and defusing the violent conflict. This backfired badly, as the LTTE began to resent the presence of Indian troops and the government’s strong-arm tactics. When the Congress Party was unable to win a majority, Gandhi’s term as Prime Minister came to an end in December 1989. In 1990 he said in an interview that he would send the IPKF back to disarm LTTE if he came to power again. On May 21, 1991, while campaigning for the upcoming elections, Gandhi was assassinated by a suicide bomber, Thenmozhi “Gayatri” Rajaratnam, a female member of the LTTE. 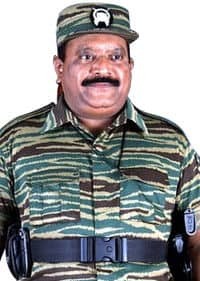 He was killed in the outskirts of Madras (now known as Chennai), the capital of the Indian state of Tamil Nadu, which was a haven for many Tamil separatists; more than a dozen others were also killed. It is widely assumed that the LTTE decision to kill him was perhaps aimed at preventing him from coming to power again. Gandhi’s widow Sonia became the president of Congress party in 1998, and led the party to victory in the 2004 and 2009 parliament elections. His son Rahul is a Member of Parliament and Vice President of the Congress. Ernestine S. Heck served as Political Counselor in Colombo, Sri Lanka from 1986-1990 and as Consul General in Madras (Chennai), India from 1990-1993, and discusses India’s involvement in the Sri Lankan civil war and the circumstances which led to Gandhi’s assassination. She was interviewed by Charles Stuart Kennedy, beginning in December 1997. Go here to read other Moments on South Central Asia. HECK: [After Indira’s assassination, Rajiv] was flown home immediately and was administered the oath of office by the President, who was a Sikh, Giani Zail Singh…. Rajiv Gandhi was a very young man at that point, of course. He was a very pleasant man. He was a well-educated man. He didn’t have the personality-type hang-ups that his mother did, and he was a welcome breath, I think, for a lot of people when he came in as Prime Minister. He had been an airline pilot. He had an Italian wife [Antonia “Sonia” Maino]. It was his younger brother, Sanjay, who was supposed to be the politician in the family, and Rajiv made a point to let his family know that he wanted nothing to do with politics. He was only pulled into it unwillingly by his mother after his brother was killed [in a plane crash] in May of… 1982…. So when Sanjay was killed, [Indira] started putting pressure on Rajiv, and he, against his will finally acquiesced, and he became her right hand. So when [Indira] was killed, he then became the leader of the party and by extension became the Prime Minister. He was lower key, more modern. He was a post-independence baby, and he didn’t have the history in his mind the way his mother did of the incarcerations during the fight for independence, of the battle for independence and all the things that made Mrs. Gandhi what she was. So he was looked on hopefully by everyone, not only in his party, of course, but in the various diplomatic missions around town, that this was going to be a new ballgame, and to a certain extent, it was. But he was still the leader of the Congress Party, and the Congress Party remains to this day a party of old men in many cases….He tried to bring them to use modern technology, for instance, and to become part of the 20th century, because the party itself was still sort of mired in the past. He tried to modernize the party and the government and he tried to modernize the country. The problem is, of course, that India is so huge and the party was so entrenched at that time that to do any of this is a very long-term problem. Like turning around a big tanker — it takes time and space. So [after] almost two years into being Prime Minister, things still looked very much part of the old way, but he was trying. Q: What were the Tamil Tigers after? HECK: They wanted independence, as their name said. They wanted a separate country for the northern and eastern province.…These were fanatic young men. The leader, [Velupillai] Prabakharan,… demanded total loyalty of these young men who worked for him, and actually there were young women brigades also. They had military training, even the girls. They are noted for their devotion to the cause. They all wear a little cyanide capsule around their necks and, believe me, they use them when they are cornered, a number of them did so while I was there. When they say, “Bite the bullet,” this was really biting the bullet. Going by cyanide is not a nice way to go. But it does take care of your turning over any information to the other side. They were getting even then kids that were just barely adolescents. You must have seen pictures of little boys holding automatic guns, and the guns are just as big as they are. That doesn’t stop them, of course, from being able to cause some damage. Their complete willingness to die for the cause is what sets them apart from the army. Conscripts in an army are not so good, particularly in an army that doesn’t have the luxury of tremendous training and doesn’t have the equipment.…The Sri Lankan army, on the other hand, is now better trained and is now better equipped…. 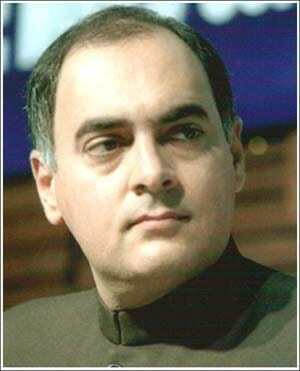 Rajiv Gandhi, then Prime Minister, came down. There was a guard of honor, and one of the guard of honor tried to assassinate him right in front of the President of Sri Lanka, and the Prime Minister. He had a glancing blow on the head, as I remember, but he was not badly hurt. The man was, of course, caught and turned out to be a chauvinistic Sinhalese who didn’t like the idea of the Indian occupation of his country. The Indian army moved rapidly into the north and the east, and in August or so of 1987…. The Indian intelligence service had been training various groups of Tamil insurgents for many years, some of them in the south in Tamil Nadu. They had camps and training sites, and some in the north up in Beridudin in the foothills of the Himalayas. It was a pretty open secret that Indira Gandhi had put some of her government’s resources behind protecting the Tamils…. The journalists wrote about it and occasionally a few surreptitious pictures were taken. The Indian government had the deniability factor behind it, so they were able to get away with it. But there were these ties. Prabakharan had gone up and talked to Rajiv Gandhi when he was Prime Minister, and the Indians had tried to talk them into various types of things. Prabakharan was not particularly happy and wasn’t buying much of this stuff. The Indians tried some strong arm [tactics] on them, and it was not particularly useful, but by the time the Indians arrived in Sri Lanka, they had built up public opinion at home that they needed to do this to protect the Tamil populace. At first the [Tamils] were seeing them as welcome brothers when they got into the north and east, but it didn’t last very long. First of all, Prabakharan was still seething over having this done to him. They had a very big ceremony that the Indians played up tremendously early on when they first got there, a surrender ceremony of weapons. They had this big public ceremony in Jaffna where various members of the Tigers and others came and deposited weapons. They collected the most motley group of things. It wasn’t a very big group, first of all, and it was nothing. It was just Enfields [rifles used by the British Empire in the first half of the 20th century] and things like this that were probably dug out of somebody’s basement as much as anything else…. The honeymoon was over very soon. Part of it was that the Indian army really aren’t brothers with the Sri Lankan Tamils. First of all, the Indian army is very, very diverse, and the units that came in were from all over the country and they were not Tamils and they didn’t speak the language. This meant that at road checks they couldn’t communicate unless the person involved was an educated person and they could use English. But a lot of the Indian enlisted men didn’t really have a lot of English. They had some, of course, but it was not conducive to long discussions about what’s in the basket, so it got a little bit hairy. Along about the second week in October of that year, the Tamil Tigers started sniping at the Indian army. From then on until the Indian army pulled out – and the last groups didn’t go until 1990, I believe – it was a constant battle, and it became really open warfare. The Indians became the enemy instead of the Sri Lankan army, and the Sri Lankan army was basically told to leave this alone and the Indian army would take care of it with their superior fire power and all of their weapons. Of course, they did have a lot better weaponry, and they had a disciplined force, but they’re not a guerrilla fighting organization. They didn’t know the terrain, they didn’t know the language, and they didn’t really do very well…. It became very much like Vietnam, a smaller version, it was the Indians’ Vietnam. Like us in Vietnam, they never really quite understood why these people they were trying to help weren’t more grateful. It got very nasty at the end because the Tigers could get old ladies to carry things up and explode them. They could draw on a variety of people in the population, and the Indians 120 just really weren’t used to taking out after little old white-haired ladies. It became a really nasty thing…. Rajiv Gandhi was assassinated just beyond the outskirts of Madras one night. It was May of ’91. He was running [for office]. He wanted to be back in as Prime Minister, and I think he would have made it. He was the legitimate leader of the party. At that point Congress did not rule in New Delhi. One of the short-lived coalitions from the left side of the spectrum was in charge, but Rajiv was the party leader of the Congress Party. He was campaigning in a place called Sri Perambur, which was a few miles outside of Madras on the road to Bangalore. He was in a big field. It was 10:30 at night. In India, the campaigning starts at dawn and goes until midnight or two a.m., and it gets later and later, falls further and further behind, so this was probably scheduled for before that. He was to address this gathering of people in this field, and a young Tamil woman came up to him with flowers. It’s the custom in India to drape flowers around people’s necks as a sign of honor, very much like what we have in Hawaii with the leis. In any case, this lady had a garland in her hands, and she knelt or bent over to touch his feet, which is another very common gesture in India of respect, and she triggered something in her waist and blew herself and him up. He was in pieces. It was a very, very awful thing, great carnage. Other people were killed. It turned out later that she was a Sri Lankan Tamil, she was a member of the Lady Tigers, and she was doing this on direction from [Tamil Tigers leader] Velupillai Prabhakaran in Sri Lanka. This is how far [Rajiv Gandhi] had come from being the hero of the Sri Lankan Tigers to being their sworn enemy. The thing that interested me the most about this indicated the way things work in India, both in how governments in India react to tragedies like this…and also about the communications. The evening news was on at ten o’clock. I had watched it, and I had gone to bed about 10:15 or 10:30. [The assassination] had happened at more or less 10:30…. About 12:00 or 12:15 the phone rang, and I got up to answer it and I got as far as understanding it was the embassy, and then the lines were cut. This happened a couple of times….About an hour and a half later I got a phone call that came in clear as a bell, and it was from the Ops Center [the State Department’s 24/7 call center] in Washington, DC, and that’s how I learned that Rajiv Gandhi had been killed. It was not publicized. At that point nobody officially knew this in Madras. The Indian government had not announced it. The body had not been brought in. They had clamped on an absolute hold. So I got up, and I got out of bed the member of my political section who was our Tamil person. Because of the difference in languages, both written and spoken, as well as because of the vastness of the area, we had a separate Indian person for each of the four states. I got my Tamil person out of bed, and he and I went to the Consulate General. When I drove down, the streets were absolutely calm and quiet and empty, and it just looked like any other night at about two in the morning — a few drunks rolling home and that was about it. But he and I got on the phones, and we started calling people. Of course, the newspapers knew about it by then. We talked to politicians and we talked to newsmen, and we wrote a cable. We got the communicator in, and we sent this message out. In fact, I think we sent several that night. By the time we started home again, it was close to five in the morning and the town was beginning to wake up. People obviously knew then, because there were crowds gathering on the streets, and there was obvious tension in the air. 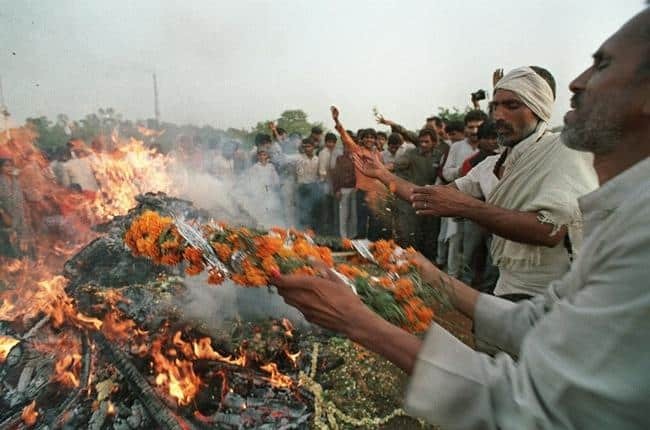 They brought the remains of Rajiv into town that morning. There wasn’t much to send to New Delhi, but they brought what they could and sent him out. His family was not with him. His wife and his two children had not accompanied him on this trip, so it was just what remained of him and some of the people who had come with him. There was then a tremendous outpouring of sorrow all over the country… a very big state funeral for the man. It was in May. It was very, very hot [for] the people who had to sit in the sun in New Delhi waiting for that funeral pyre to be lit…. The backlash against Sri Lankan Tamils was immediate. Here again, it was a case of things having changed 180 degrees because the first reaction of people in Tamil Nadu and, in fact, all over India when the troubles began in Sri Lanka in 1983 had been one of great support— tremendous support for the Sri Lankan Tamils. The various groups had been given asylum in Tamil Nadu. The Indian government had trained these groups in many cases. There was a great back and forth. There was all sort of support going from India for them, and this began, of course, to change when the Tamil Tigers in Sri Lanka started attacking the Indian army. 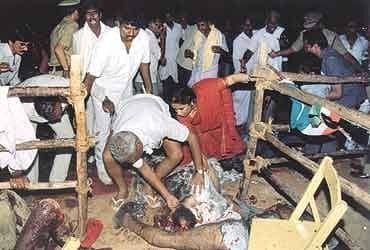 But it really changed in Tamil Nadu when this happened, and all of a sudden people were being chased out. People in refugee camps tended to be poorer, the farmers, the small people – they were not hurt at all. But all over the big cities there were Tamils living in towns and cities, and in many cases protected by the Indian government. I’m thinking now of representatives of the Tamil Tigers. They were hunted, and a number of them, particularly in the Bangalore area, were surrounded and there would be shootouts, and a number of them would be killed. They were basically chased away from the major cities. They were not welcome in India at that point, nor have they been since. In fact, the ones who were captured [were] tried and, I believe, have been given life terms.…The one exception to this was on the southeastern coast of Tamil Nadu at the area closest to the Jaffna Peninsula, where there were a lot of cross-strait marriages, family ties, and so on. That particular area way down there, which was pretty primitive and cut off from most of the country by lack of decent roads, people down there still had the ties and they would give protection. Basically, Tamils in Tamil Nadu who just wanted these people out didn’t want trouble, didn’t like people shooting on their main streets, didn’t like blowing up prime ministers or ex-prime ministers, once and future prime ministers. The mood really changed.